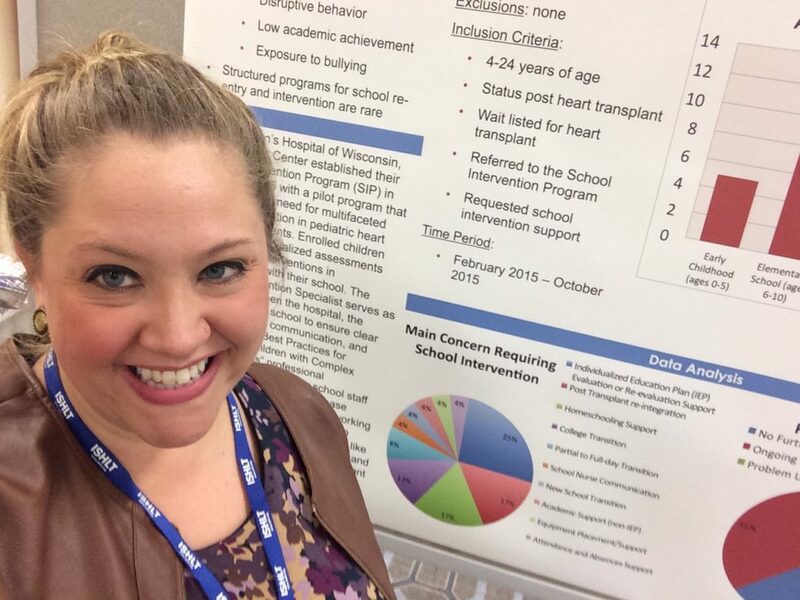 In her final post of a three-part series, Kyle Herma, School Intervention Specialist at Children’s Hospital of Wisconsin, details how to start advocating for a dedicated school liaison at your cardiac center. If you missed the series, you can find her first post here and Complete Resource Guide here. Advocating for equal accesses to quality education for children with complex health needs is often a difficult process. At times, the numerous boundaries families face seem to make it almost impossible to get appropriate evaluations and support services in place, especially within schools. It is in the untangling of these messy webs of communication and information where I find some of my most fulfilling work. Having a dedicated school liaison position within your cardiac center (usually as part of a multidisciplinary neurodevelopmental follow-up team) is an ideal situation for receiving whole-child focused, comprehensive care; however, there are many ways for parents to step in and be the driving force in centers that have not yet established these types of innovative programs. Neuropsychology is the study of the relationship between the brain and behavior. During a neurodevelopmental evaluation a child’s level of cognition and intellectual functioning, emotional and behavioral functioning, and social functioning are assessed. Each assessment will track milestone progress in areas such as: motor skills, play skills, feeding, language development, growth, nutrition, and hearing. The goals of this type of assessment are to identify the child’s ability to function in a group of same-age peers, identify the factors that influence their actions and reactions, determine how levels of functioning are influenced across different medical treatment/intervention stages, determine the response to or recovery from specific treatments, monitor overall brain development, and provide recommendations for schools in effort to implement appropriate special education services and other learning supports. A neuropsychological evaluation is typically recommended for children between the ages of 6 month to 18 years, who are at high risk for developmental disorders, disabilities, or differences. While the child’s age determines the way they are evaluated, this assessment usually consists of formal pencil-paper testing and interactive completion tasks such as match-making, completing patterns or sequences, and following oral directions. In addition, the neuropsychologist/psychologist will review psychosocial family factors, as well as the child’s developmental and medical history. 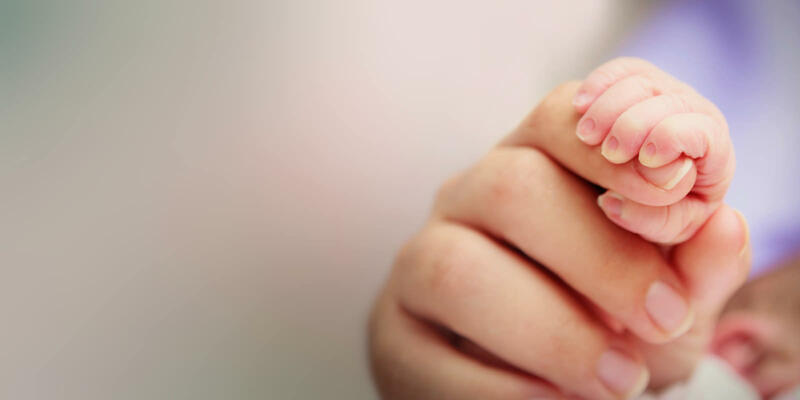 Children with congenital heart disease are considered high-risk for developmental differences and delays due to many factors related to their medical history, including medication, treatments, and surgical repairs. Fortunately, research also shows that with early identification of these learning delays and appropriate follow-up services put in place, these children can go on to lives long and successful lives. Neurodevelopmental follow-up programs are designed around a multidisciplinary team of experts who conduct regular, comprehensive assessments of a child’s growth and progress in all areas of functioning and development (also called “neurodevelopment”), and provide families with important information, recommendations, and resources needed to ensure the best possible educational outcomes. There are several school-age transition points that tend to show an increase of challenges (for example: 3rd grade is a time when children become more independent at school, thus learning difficulties become more evident; the transition from 5th to 6th grade requires a shift in complex problem-solving and organizational skills, and so on). Ongoing neurodevelopmental evaluation is recommended as it is typical for new concerns to arise at different developmental stages. Once a neurodevelopmental evaluation has been conducted, families will have a better understanding of their child’s overall level of functioning and specific cognitive strengths and weaknesses. Recommendations may be given for academic assistance in terms of accommodation or modification in school or for further psychological or psychiatric therapies/treatments/evaluations. Recommendations may also include planning for transitional service from pediatric to adult care. Most evaluations will also conclude with recommendations for continued skill development at home, ideas for discipline and/or behavior management, and additional resources for support. I always recommend that my families educate themselves on the developmental milestones of “typically developing” children. I whole-heartedly believe that all children are different and hit “normal” milestones at all different times, but early identification of differences or delays (even if it’s just scheduling an assessment or evaluation) overwhelmingly leads to higher overall academic success rates. Once you’ve noticed a concern it is important to talk to your child’s primary care provider (general pediatrician) or cardiologist right away. These medical providers will be able to listen to your concerns and help identify action steps (i.e. request an Individualized Education Plan, set up a Neurodvelopmental follow-up, etc). 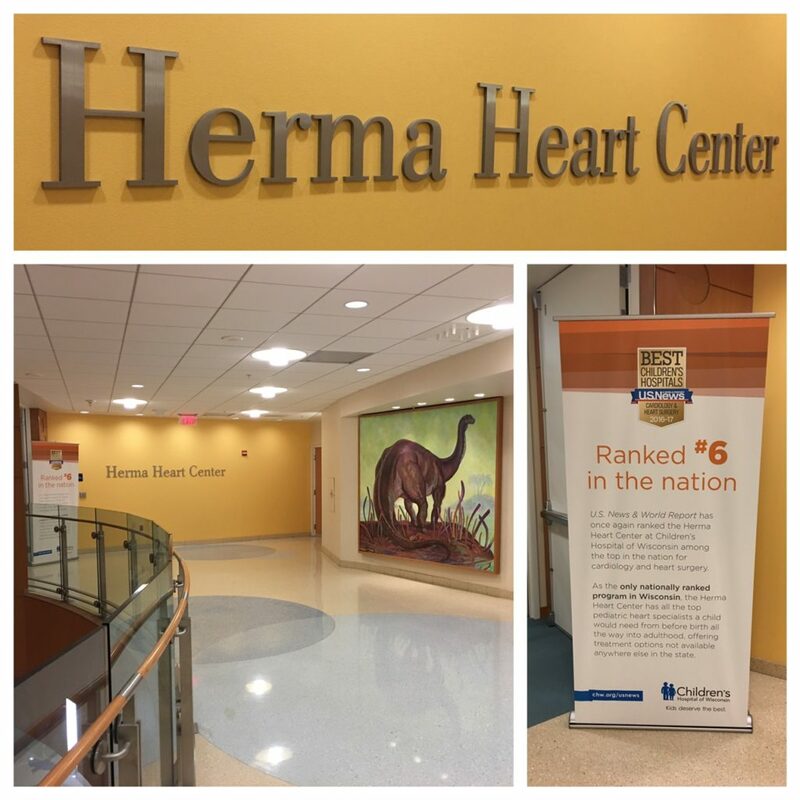 In the event that your cardiac center does not have formal programs in place to assess and assist with neurodevelopmental and educational challenges, there are still ways to seek necessary support. For example, most cardiac programs have a dedicated social worker. 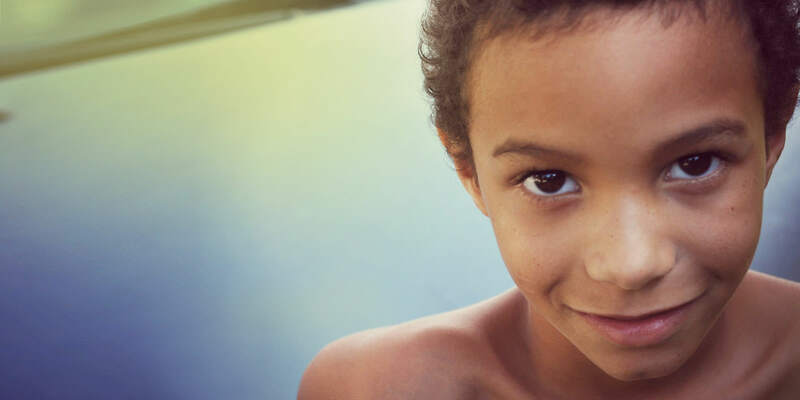 A family might request to work with a social worker to express school concerns and connect with existing resources or school support services found within the community. The social worker might be able to schedule a meeting with a hospital-based psychologist or child life specialist who can further assist if your cardiac center does not have these as dedicated cardiac positions. Parents are often the strongest driving force behind hospital innovation. 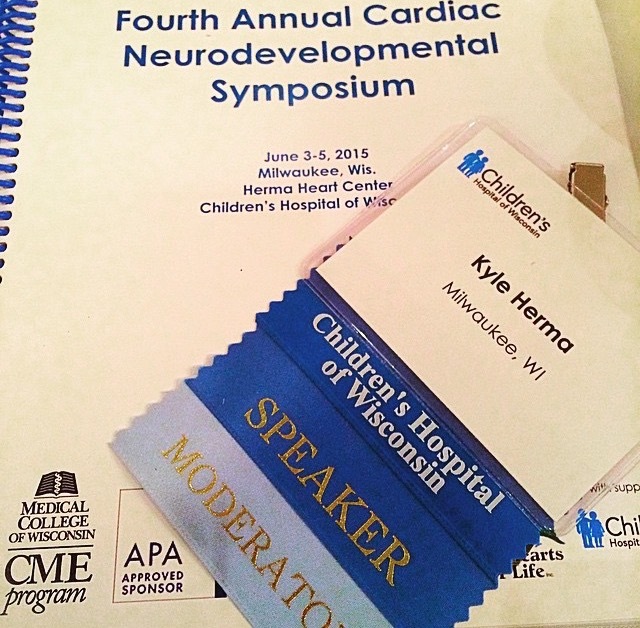 If your cardiac program does not have access to neurodevelopmental or school support services, you should be asking the question, “why not?” I encourage families to ask their providers, “where do you send your patients for neurodevelopmental follow-up?” (as opposed to the question, “do you offer any neurodevelopmental follow-up?”) and push them to make those hospital-based and community connections to complete their child’s medical team needs. Stay vocal and active in this movement to make neurodevelopmental follow-up and school liaison services part of the expected standard of pediatric healthcare, specifically in the area of cardiology, where this type of comprehensive medical follow-up program is still very new. 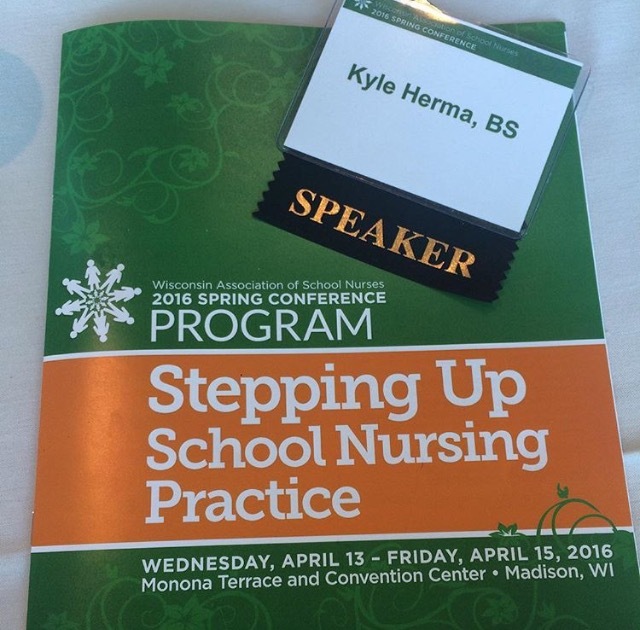 Continuing our September Back-to-School theme, we are excited to introduce guest writer Kyle Herma, School Intervention Specialist at Children’s Hospital of Wisconsin. Kyle is blogging a 3-part series for PCHA beginning with an introduction on what she does and why. 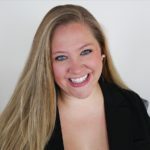 Over the next couple weeks, Kyle will share tips, tricks and recommendations for navigating a school’s system without a dedicated school liaison (and how to start advocating for one in your cardiac center) and provide a collection of resources on how to ensure your child is getting all of the services and supports required to have equal access to a quality education. This September, PCHA is celebrating the start of the 2016-2017 school year with our Back-to-School series. For our Q&A Panel this month, we interviewed three people to gain a greater perspective on how CHD affects kids differently during this exciting time of year. Congratulations on the start of a new school year! Please introduce yourself. What grade will you or your child be entering? 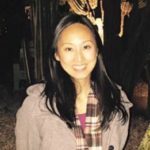 Frances: My name is Frances and I volunteer as the blog coordinator for PCHA. My husband and I live in California and have a confidant and outgoing 3-year old daughter who was born with severe mitral valve prolapse and a VSD. She had a very successful open heart surgery at 8 months old. She’ll be starting a couple mornings of preschool this year. Margaret: Hi! My name is Margaret and I’m a heart mom to an awesome 8-year old heart hero named Kieran who will be starting 2nd grade. We’ve been through Birth to 3, as well as the IEP and 504 Plan process. I am also a parent adviser to our local hospital’s School Intervention Program. Jack: Hello, my name is Jack Radandt and I was born April 15th, 2001, with Hypoplastic Left Heart Syndrome (HLHS). I had three open heart surgeries by the age of three, Norwood, Glenn, and Fontan. I lived a pretty normal life after my Fontan surgery. I was able to attend school, and even keep up with the other kids my age. At age eleven I experienced heart failure. I went to Children’s Hospital of Wisconsin in Milwaukee and was placed on the transplant list in October of 2012. I then needed to be on a device to bridge me to transplant. In December of 2012, I had surgery for a device called Heartware Ventricular Assist Device or (HVAD). I was the first single ventricle child in the United States to have the device and second in the world. I was also the first single ventricle child in the world to go home on this device. I had the HVAD for five months, until I received a heart transplant on May 20th, 2013. What are you or is your child looking forward to most this school year? Jack: I am looking forward to all the speaking events that I was able to get this school year. Frances: Making new friends. She has the ability to make a friend wherever we go, even when we run errands! Do you notify your or your child’s school or teacher about your or your child’s heart condition? If so, how do you go about doing so? Margaret: We definitely do. I’ve learned that teachers and school staff really appreciate being informed. Not every CHD student will need an IEP or a 504 plan, but we have both. Each teacher gets documentation about his HLHS, health, and classroom needs. Each year, I’ve met with school staff before school starts to make sure we’re all on the same page and to answer any questions. He has an excellent team at school that is communicative and proactive. We don’t just think about the regular classroom teacher — it is important to have a plan in place so that the school nurse, office staff, lunch and recess supervisors, gym teacher, substitute teachers, and any other school professional who might work with Kieran be informed of his health plan. Jack: I do notify my school’s faculty, staff, and students of my condition, and I am very open about my scar and surgeries. Frances: When filling out her general medical information for the preschool, we noted her cardiologist in addition to her pediatrician. She also has a medical device identification card for her annuloplasty ring in case any emergency arises affecting her heart. While our daughter has zero restrictions and no known issues otherwise, we included a copy of this card for the preschool and let the director know about it as a precaution. Do you or your child have any limitations or require medication during school? If so, how do you handle this? Margaret: Kieran has HLHS, and his cardiologist has requested that he stay indoors when it is below freezing. On these days, he gets to pick a classmate to stay inside and play board games with. He also has an adaptive PhyEd teacher working with him in gym class. He has a water bottle with him all day to prevent dehydration. For fire drills, he has instructions in his health plan to be allowed to wear a coat outside if it’s cold out. There are certain things we take on a case-by-case basis, such as field trips and walking trips. Frances: Our daughter doesn’t have any limitations or medications, though the future is uncertain. Her heart will need to be monitored more closely during puberty as her device may be affected during this exponential growth period. Jack: I don’t have to deal with this because I take my medication right before I go to school and right before I go to bed. What reaction do you get from the staff if you notify them? Do you feel this affects how the teacher and/or staff interacts with you or your child? Frances: They thanked me for sharing the information. They haven’t mentioned it otherwise, and from what I’ve seen do not give her any special treatment. Margaret: We’re fortunate to have a neighborhood school that fosters a very positive learning environment for everyone, and is innovative about classroom adaptations. When we’ve notified them, they’ve responded very positively with a can-do attitude. Last year at our back-to-school meeting, not only did Kieran’s new teacher attended, but the office staff, principal, school nurse, and almost everyone involved with his IEP. Shedding light on the HLHS and the secondary challenges we’ve faced helps them understand how to meet Kieran’s needs better, as well as helps them understand why he (and we as parents) sometimes act the way we do. Jack: Some of the faculty and staff that find out about my condition feel very uncomfortable about the whole situation. How open are you or is your child about CHD with peers at school? How does this affect your or your child’s relationships? Jack: I am very open about my condition. This is my life and I’m not ashamed of it at all. Frances: Since she’s still very young, our daughter doesn’t make a point to either hide or reveal it. While I want her to be proud of her scar, I also want to allow her to talk about CHD on her own terms whether that’s mentioning it to close friends or being a vocal advocate. She is a naturally confidant and extroverted individual, so it doesn’t seem to bother her when someone points it out or asks. For now we focus on making sure she knows her scar is something good and how to respond in situations. I don’t make any consideration with clothing when it comes to her scar, choosing her outfits based on the weather and her own personal preferences. Margaret: Kieran is very sensitive about his heart condition. We don’t actively keep it a secret, but we don’t actively volunteer information about it to his peers, either. He feels very strongly that he is a “normal” child and wants to be seen that way. Everyone is different, and I know many heart parents who believe it’s important for their child to be CHD advocates, but I feel it’s important for now for him to feel comfortable at school and have it be a “safe space” for him to feel normal. He sometimes does participate in CHD activities with me outside of school, but he doesn’t understand why they’re important. He sees his “heart friends” as regular friends. Many heart kids don’t truly know the gravity of some of their heart defects until they are much older. A cause that affects him much more, and has for years, is hunger and his desire to see everyone in the world have enough food to eat. I think that’s wonderful. We should all be able to focus on areas of need that spark our sense of fairness. What is your or your child’s favorite subject or activity? Frances: She loves the arts – dancing, painting and music. Jack: My favorite subject in school is biology. Margaret: Definitely gym. He also likes math and music. What, if any, concerns do you or your child have in regards to CHD for the school year? Margaret: My biggest concern is that somewhere, at some point, there might be a breakdown in coordination at school. I worry most when there is a substitute teacher in the classroom, because I’m not informed of it, and I have no idea if they’ve read his 504 plan and understand it. Luckily, he comes into contact with many staff throughout the school day, and I think they all do a good job keeping an eye on him and all the students. Sometimes, because he wants to be seen as “normal” in front of his peers, he’s not as assertive as he should be. I also worry about rough play during recess. This has been a problem at times throughout the past school years, where he will be tackled or otherwise roughed up during normal play, which has resulted in some bruising because he is on blood thinners. 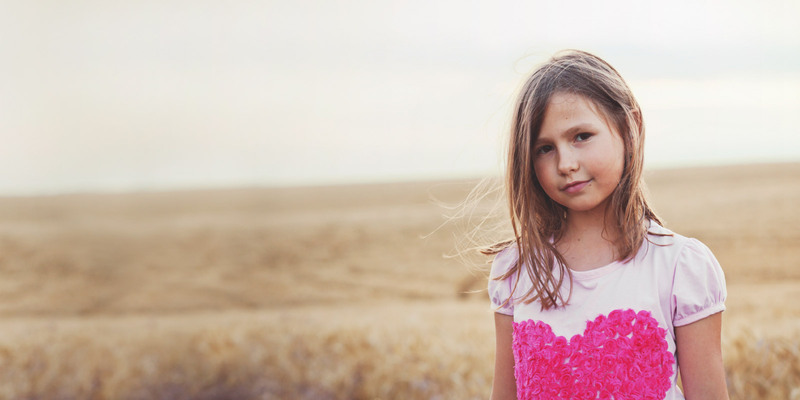 Frances: You would have no idea our daughter has CHD besides her scar, so my only concern is her peers setting her apart in a negative way because of it. Her preschool focuses very much on emotional competence and socialization in a play based setting, and what we liked most about it when touring was how respectful every child was to each other regardless of their differences. Jack: I am in a very small school so I really have no concerns besides being ill. If you or your child has a high sensitivity to illness due to CHD, how do you or your child combat this at school? Frances: While she doesn’t have a high sensitivity, her pediatrician still errs on the side of caution by making sure she gets the first flu vaccination that comes in for the season which we are thankful for. We also chose a preschool with a smaller class size and a strong emphasis on cleanliness. Jack: I am sick a lot so missing school is always a big concern. Margaret: The school nurse, or sometimes the classroom teacher, is really great about informing us about illness at school. They will email us personally if a lot of kids are out sick, or with certain communicable illnesses requiring all parents at school to be notified, the school nurse sends home flyers. We are most concerned about things like strep and seasonal flu. If it’s an outbreak the classroom, we would most likely keep him home until it had passed. We use hand sanitizer, get a flu shot, and try to get enough sleep and eat healthy. We emphasize to Kieran the importance of good hygiene. His school has a great custodian and they are good about keeping the classroom and school wiped down. What is your biggest hope for yourself or your child this school year? Jack: To remain on honor role and avoid illnesses. Margaret: That he will make more friends and feel more included socially. Not only is he an only child, but like many CHD kids, especially those with critical heart defects, he is a bit behind for his age socially. Add to that the fact that he easily tires during playground games and has to take breaks during physical activities, he sometimes feels frustrated that he can’t keep up with other kids, especially most of the boys. Of course, I also hope he has a great learning experience this year and finds areas of learning he really loves. Frances: I hope she will be able to make new friendships and start a solid foundation of a love for learning! What area(s) is your child most successful at school? Frances: Since day one, my husband and I have never experienced separation issues with her. She’s very adaptable, confidant and according to her preschool teacher, not at all afraid to ask questions. Jack: Science class over any other classes. Thank you all and best wishes for the new school year! Be sure to check back throughout September for our guest writers covering relatable Back-To-School topics and be on the lookout for your children being featured in a blog post. Share your first day of school photos at advocacy@conqueringchd.org by Friday Sept. 9th to be included!